Available in poplar for patients with allergies or chemical sensitivities or chronic disease. FIR heat penetrates 1 1/2 inches. Sweat and perspiration are a natural way of removing harmful waste materials that have accumulated in your body and fat cells. Our body reacts to the increased heating through the natural cooling process of perspiring. Through the perspiration process, acid and waste residue like toxins, sodium, alcohol, nicotine, cholesterol and the potentially carcinogenic heavy metals are removed from the cells (especially zinc, lead, nickel, cadmium, etc). As well as the pores of our skin opening and discharging waste products, the skin sheds any old skin cells, leaving it glowing and immaculately clean, with improved tone, elasticity, texture and color. 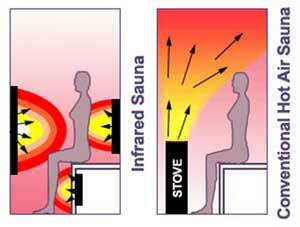 Infrared sauna heat expands and dilates peripheral blood vessels. This action brings relief to muscles and soft tissue injuries. In addition, increased blood circulation delivers oxygen-rich blood to injured muscles which helps to speed up the body’s natural recovery process. 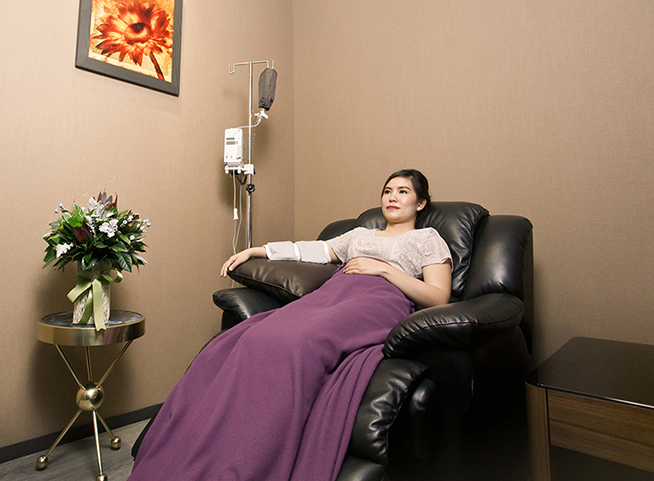 Therefore, effective in reducing the pain of arthritis, back pain, muscle spasms, headache, etc. As you use infrared sauna, your heart pumps blood at a greater rate, giving you the same benefits as a cardiovascular workout. Heart rate, cardiac output and metabolic rate increase, while diastolic blood pressure drops, resulting in improved blood circulation and a full cardiovascular workout. Another comparison lies in the process of sweating. Infrared energy created in the Infrared Sauna may induce up to two to three times the volume of sweat produced in a traditional sauna while operating at significantly cooler temperatures (100 to 140 degrees Fahrenheit — 37 to 55 Celsius — compared to 180-235 degrees Fahrenheit). The lower heat is safer for those concerned with cardiovascular risk. A conventional sauna must rely on an indirect means of heat to produce its heating effect on the body (convection — air currents — and conduction), which means our skin has direct contact with very hot air. An infrared heater heats only 20 percent of the air, leaving over 80 percent of the heat available to directly heat the body. Thus, an infrared heated sauna can warm its users to a greater depth and more efficiently than a conventional sauna, while enabling them to breathe easily. One issue for traditional sauna users has been breathing the exceptionally hot air of 180 degrees Fahrenheit and above. It is distinctly more comfortable to breathe air that is 140 degrees or less, with no loss in heat penetration. As a result infrared sauna users are able to stay in the saunas for longer periods of time resulting in greater benefit. On the subject of cardiovascular concerns, German researchers reported beneficial effects from hour-long whole-body infrared exposure in two groups of hypertensive patients studied in 1989, including a 24-hour long increase in peripheral blood flow and decrease in high blood pressure. Far-infrared radiant (FIR) heat is a form of naturally occurring energy that heats objects by direct light conversion (DLC).DLC warms only the object and does not raise the temperature of the surrounding free air. The sun is the primary source of radiant energy, but not all of this energy is beneficial. Although life needs energy from the sun, too much sunlight damages the skin. FIR heat provides all the healthy benefits of natural sunlight without any of the dangerous effects of solar radiation. Why is infrared heat better than traditional steam heat? Traditional steam saunas raise the temperature of the air to a very high level within the chamber to warm the body. Some people have difficulty breathing in this extremely warm air. FIR saunas work differently. Instead of heating the air within the enclosure, FIR saunas heat the body directly. The result is a lower power bill and deeper tissue penetration. In the FIR sauna, the body perspires and receives all of the healthy benefits but avoids the harmful and extremely hot air of a traditional steam sauna. FIR saunas are safe for all ages. Infrared light is part of the Sun’s invisible spectrum. One of Far-Infrared light’s characteristics is the ability to easily penetrate human tissue. When this happens, it creates a natural resonance, which has many beneficial properties. Remember the last time you were sunbathing with sunscreen? Were you still hot? Of course you were because the sunscreen only stops the UV (Ultraviolet) light from hitting your skin. The Far-Infrared heat (FIR light waves) penetrates your skin, giving you that wonderful natural warmth. You can be exposed to Far-Infrared heat for hours and it will never cause your skin to burn. Far-Infrared heat is completely healthy and safe for all living things. In fact, far-infrared heat is so safe it is used in hospitals to warm newborn infants.